This drink can function as a meal accompaniment (especially with spicy curry), a dessert, or an afternoon pick-me-up. Place all of the ingredients except the ice cubes into a blender and run on a high speed until they are thoroughly mixed. If necessary, add more water a little at a time to thin out the lassi. If you are preparing the lassi for drinking later, place the blender and its contents into the refrigerator until you are ready to serve. 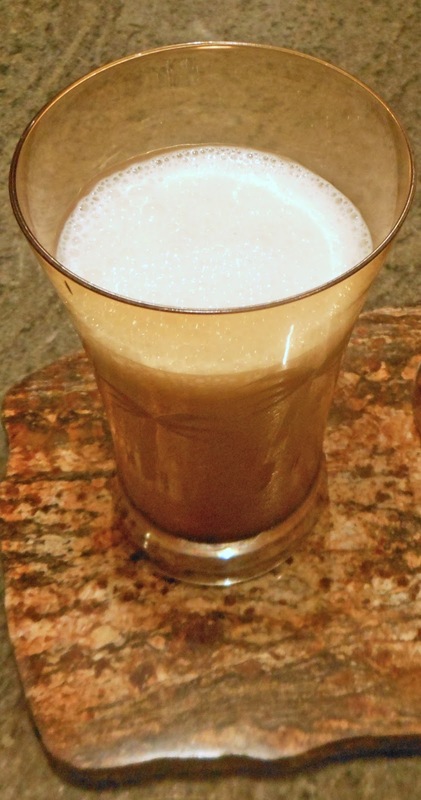 Just before serving, add about 10 ice cubes into the blender and run on highest speed until the ice is reduced to slush and the top of the lassi is slightly frothy, then pour immediately into glasses.